But Arya and Jayan met as a complete strangers for an arranged marriage matrimony meeting. From wanting to know more about each other to coffee shop dates to their long drives to the late night calls love slowly seeped in!!. Therefore the magic set in from being complete strangers to being the most loved ones. 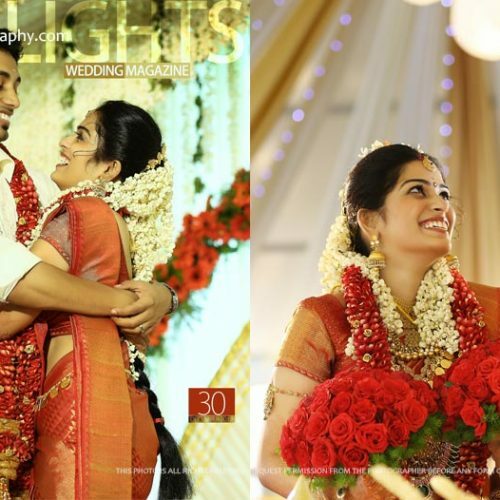 They took wedding vows experiencing a traditional wedding at Bhaskareeyam Convention Centre. The ceremony took place on September 3rd. Arya tried to bring the look of Devi Parvathi for her wedding. From the unbounded hair to the lip colour and the bindi done with a lot of detailings after months of research. All her dreamy look worked out by make up artist Renju Renjimar. 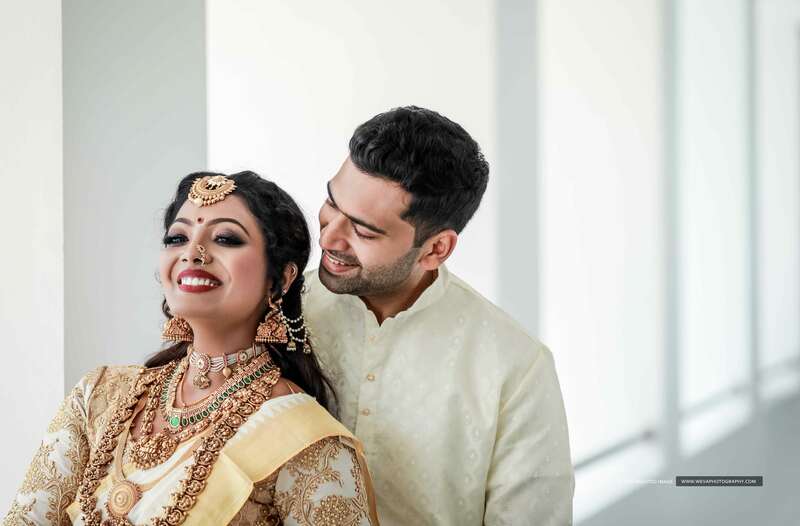 Her wedding attire was inspired from Rani Akka Devi, the 11th century Chalukya dynasty. She designed the saree and was woven by Seemati. 3 days of wonderful celebration. It was very lovely working with you. 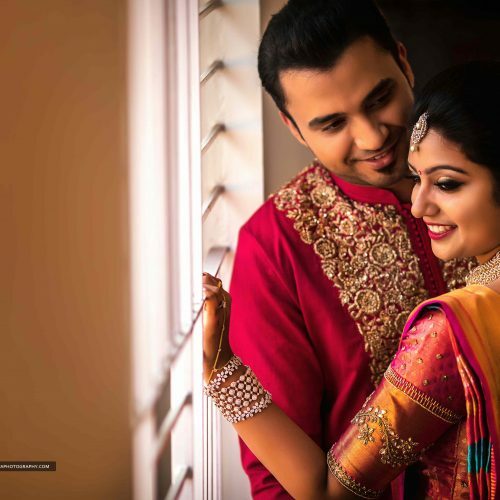 Hence thank you Arya and Jayan for having us to capture your big moments..